Health Care Support Workers and other carers This section is especially for you. The short learning module below is to help you learn how to look after people with swollen legs and feet. It also gives examples of when you might need to get further advice from medical staff. 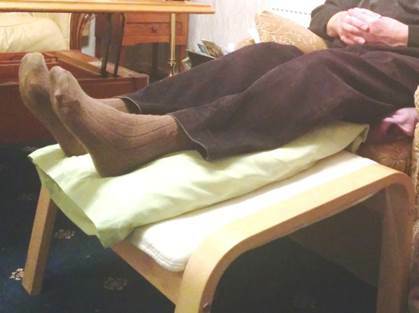 It was developed by the University of Glasgow with support from NHS Education for Scotland and the content was agreed by members of the Scottish Lymphoedema Practitioners’ Network. At the end there is a certificate of completion which you can print off to keep with your training (professional development) records but remember to answer the questions on the certificate to show what you have learnt. You might find the information on our Patient and Carer pages useful too.